Math instruction has come a long way since the timed drills, flash cards, and memorization of facts of my childhood. 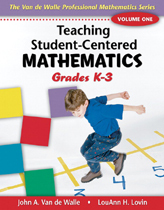 Sadly, many children did not have a true understanding of the underlying math and number concepts, only the ability to repeat the procedures or memorize facts. They appeared to learn math, but in reality, did not have a deep understanding of number and number relationships. So, what about that magic number? If you ask any first grader at my school, they would proudly tell you their magic number. Briefly, it is the highest number they can compose and decompose quickly without counting. That means knowing and understanding number and number relationships (to 10). Really KNOWING, not just memorizing. Knowing that a group of 5 is 5 no matter the configuration, recognizing a group of 5 in a larger group, being able to recognize the parts of 5, even with one part missing. Now, how do we get them there? 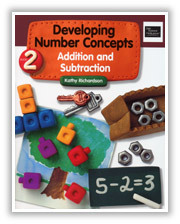 Well, in the beginning of the year, we really dive into number concepts - counting and grouping and subitizing, oh my! We really work on that Magic Number a little later in the year, around December or January. I start by assessing which numbers the kids already know. This is an individual assessment from Kathy Richardson (see pic/link above). You show the student a given number of counters, then hide some under your hand. 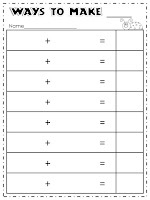 The student should look at the remaining counters and tell you how many are hiding. They should do this fairly quickly without having to count. Do this with all the combinations of the number. Then, when I know what numbers they have really well and which number they almost have , but not quite - that's where we start. The kids practice composing, decomposing, and finding the missing parts of their number. 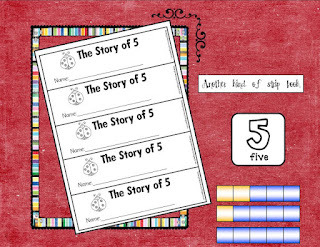 For example, if the number the student is working on is 5, then he will only work with 5 of the same manipulative.. He will work to find all the combinations of 5 either by separating the manipulatives into parts or having a partner show one part and determining the missing part. I laminated each mat and placed it with the necessary manipulatives into a labeled zip loc bag. Then the kids grab a bag labeled with the number they should be working on and head to their work space to get started. Students record the combinations on recording sheets (early on), scrap paper, or dry erase boards. You can get the recording sheets here from Little Minds at Work. I love these missing number cards from Kindergarten Rhode. And they were so easy to make! 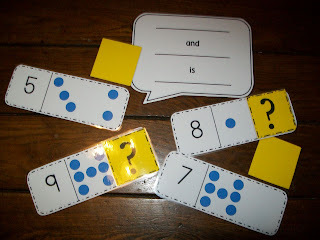 There are really too many ideas to post here - check out my Magic Number Pinterest board for lots of wonderful ideas from other teachers! And lastly, I'm late to the party, but I linked up anyway! I love looking at other teachers' classrooms so I linked up here for International Blog Hopping Day! (It's linked to my previous post about my class.) Go check out the fun! 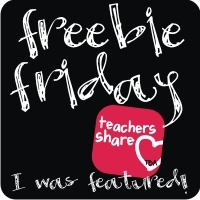 And go check out all the other freebies out there! Thanks for stopping by my blog! I have given you an award! Stop by to get it! Thank you so much! It is so nice to get positive feedback. Thank you for the freebie! I am your newest follower. Please follow my blog so that we can share ideas. You're welcome and thanks for following! I'm heading over to your blog right now! Thank you for the freebie. I'm your newest follower thanks to TBA linky!! Thanks and glad you could use it! I'm in Virginia at a Title I school too! I loved your math mat ideas using the real manipulatives. I'm definitely wanting to make some for my second graders this year. Out of curiosity, what did you use for the pig? Good to hear from another VA teacher! I used real pennies for the pig and acorns for the tree (the acorns tend to fall apart and need to be replaced frequently so stock up in the fall:) Our math kits also have some cute manipulatives - the bugs, frogs that I use with a pond mat, and fruit that I use with the tree mat. Once you get started, it's addictive and the kids LOVE it. But, the birthday cake with the candles was by far the favorite. Gah! Piggy bank! I don't know why I couldn't think of that. Apparently I was hungry because all I could imagine was bacon. I agree that the birthday candles will be a great hit. I have tons of manipulatives, so I can do the mats easily. 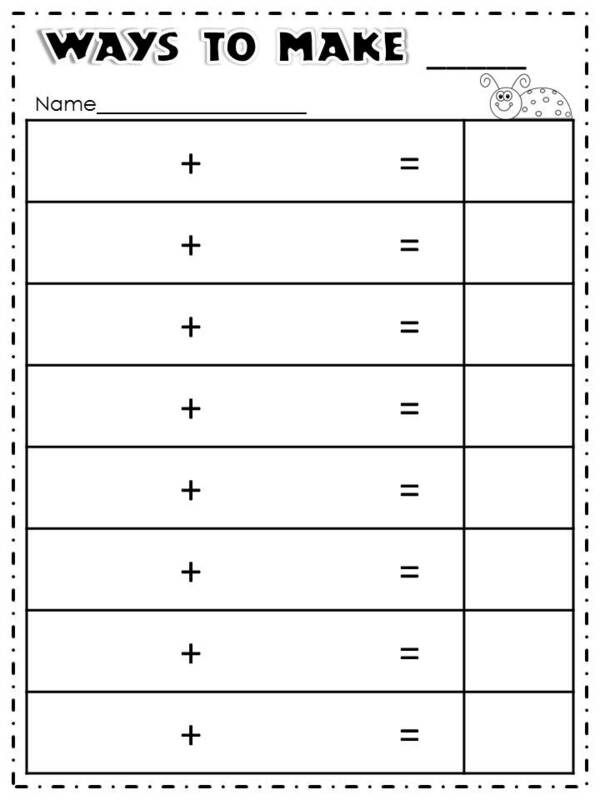 I think I'll make up some task cards for differentiation, some kids definitely still needing to work on making ten combos, but then others ready to move upward and onward to bigger numbers. Exciting stuff! I just shared the Van de Walle plate activity yesterday! I love Van de Walle! I still have my college text book from 1995 all highlighted and dogeared - and I use it all the time. Unfortunately, he did not teach the section of math that I took, but he designed the class so I think it was a good one! Did you get the Pete activity I sent? I'm not sure what happened with the following situation- I clicked on Follow and had to sign in to google again. But it is straight now and I'm headed back over to read about your dot plates! Thanks so much for following and sharing! !